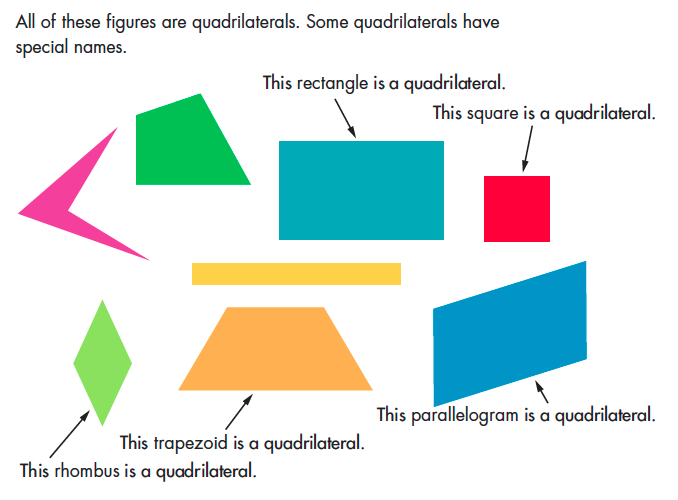 Lions, Rectangles and Triangles–Oh My! 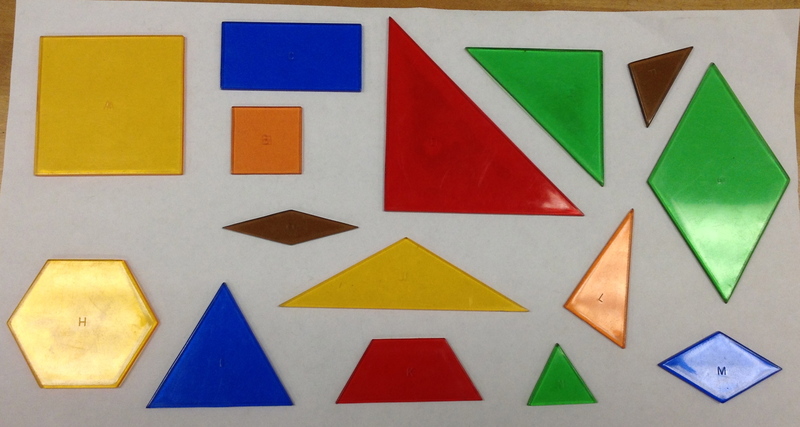 Last week I spent time during math rotations having discussions with kids about squares and triangles and other shapes. (One of the benchmarks for first grade learners is that they, say, recognize that a square is a square because it has four equal sides and four equal angles.) While playing with the manipulative shapes I thought of one of my favorite authors, Ed Emberley and his books that help children (and adults like me who love to draw!) draw animals and monsters and people and cities, etc. all by drawing simple shapes. I showed Mrs. Bearden an Ed Emberley book and she was kind enough to let me share his work with your students. Today during math time we practiced drawing shapes again on the whiteboard and then we used cardstock and markers to draw our own lions, still using rectangles and triangles and circles, etc. Students were allowed to use whatever colors they liked and embellish their lion as they best saw fit–some have freckles! Some have angry eyebrows! We had conversations about how many triangles they used to show the teeth, how many triangles to make the mane, etc. The results are very colorful and scary and fun and are now greeting passers-by in the halls. (And BOY are they BEAUTIFUL! Sorry–this is Mrs. Bearden. Had to throw in my two cents about how great they are. AND how great Ms. Holzmueller did as she taught the lesson! Learned a few things myself that I will incorporate tomorrow. 🙂 Really, I did! Ok…back to the guest post…:) ). This was a 4-day week at school, but since we’ve moved our MWU to the afternoon (instead of first thing in the morning), it has seemed it’s been easier to make them happen every day. Maybe it’s just because of the unit we’re in, too, but our conversations about them have been SUPER POWERFUL lately. Can’t imagine teaching without this part of our day! I definitely should have taken a before and after picture of this one. 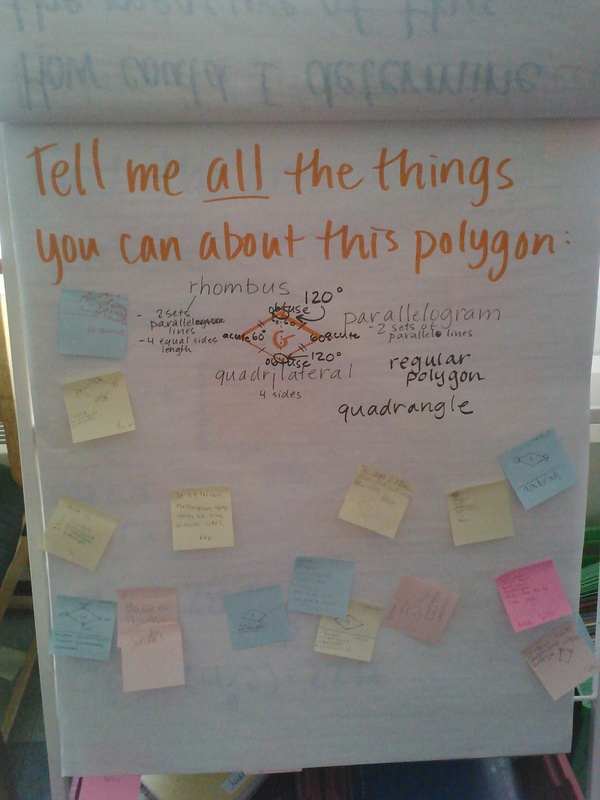 The circles were all filled up with post-its when we sat down to talk, but we had to work through them and decide which ones sounded like things mathematicians would say about these polygons. Many of them were vague or didn’t use mathematical terms. 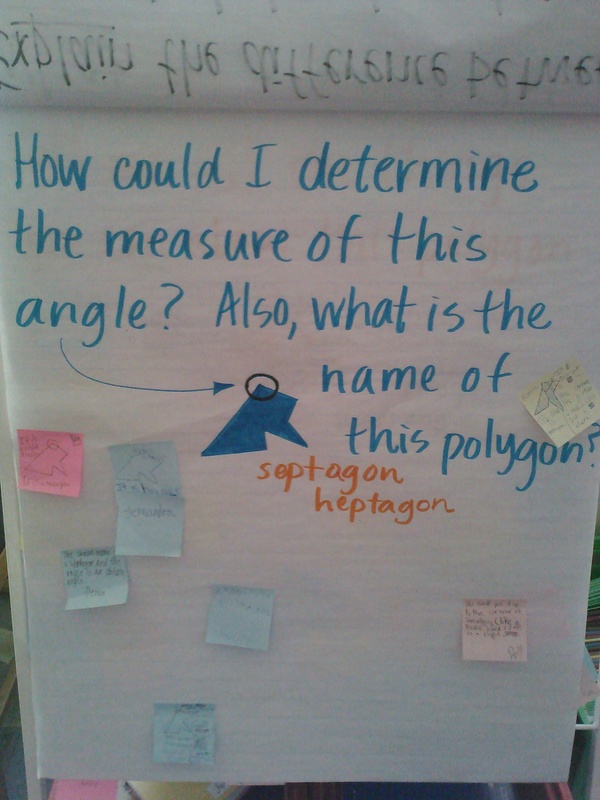 They said things like “they’re different” or “they’re the same.” We talked through the definition of polygon (hence the words over there) as well as what some mathematical terms were that we should listen for as we narrowed down the choices. This idea of comparing is something that students are expected to know how to do independently with two different polygons by the end of the unit, so trying some together along the way was crucial. This one matches up with both some work on shapes we had done earlier (names and attributes), as well as a replay of the question from the day before to see how they’d do in the same situation with different shapes. The number of specific, mathematical responses was much greater this time and we had less work to do to make our Venn Diagram make sense. This question has a great story to tell (which is SO long and involved I’ll be nice and put it in a different post! 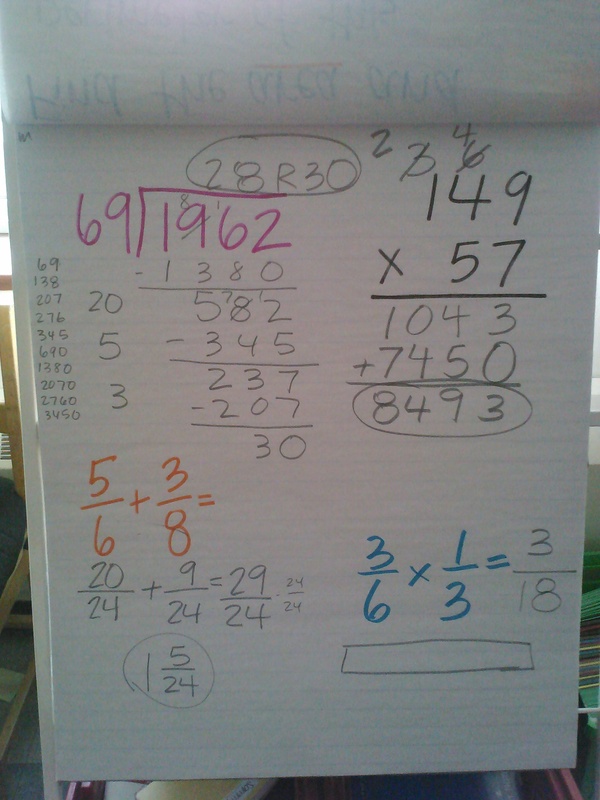 ), and really gave us lots of math to chew on. And I thought I would be an easy one. Those are always the problems that surprise me. We’re applying our knowledge of lines, angles and polygons everywhere we look! This wasn’t even part of the question, but of course was a great part of the discussion! After all our hard work (which I hope you’ll pop over and read about), I wanted to see if they could remember and apply it to a similar but new situation. Most could see how the knowledge we had gained the day before about halves applied to thirds (and therefore to fourths, fifths, sixths, etc.). 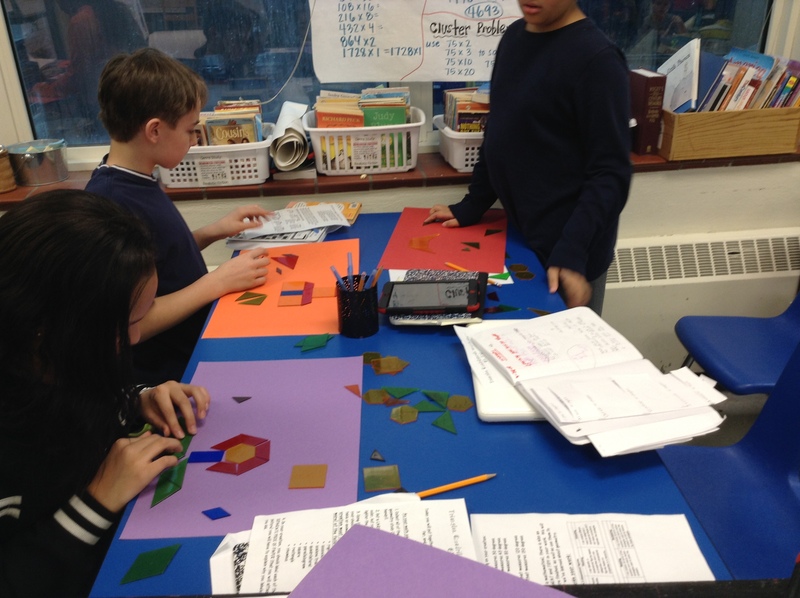 We were recently working on geometry in Rm. 202, learning some pretty great things about polygons, angles, area and perimeter. While I have many things I could share (and probably will! ), this post is about an art project we made using some pretty cool manipulatives called Power Polygons. They are similar to pattern blocks, but kind of on steroids. Each one is labeled with a letter, that makes then easy to identify and talk about with other mathematicians. It would be GREAT if I had pictures of the final products, wouldn’t it? Yep, you guessed it, I don’t. But I do have some pictures of Rm. 202 mathematicians hard at work creating their fabulous pictures! This was a short week because of the MLK holiday on Monday, so we only had four warm-ups this time around. 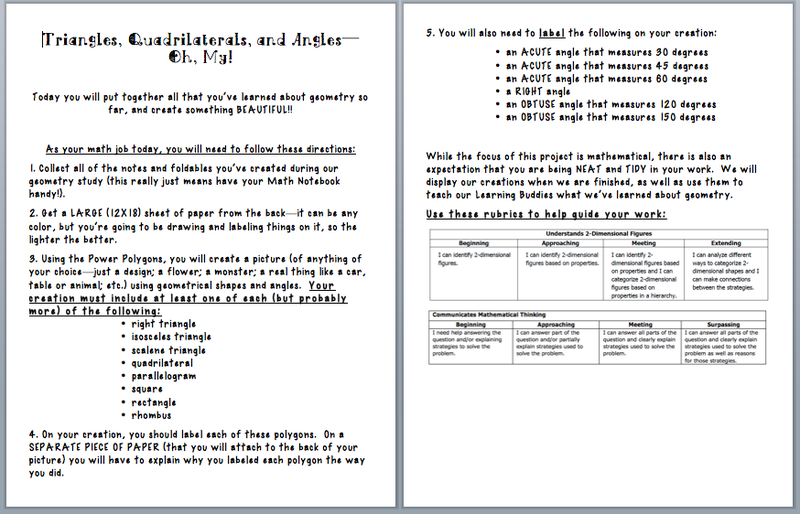 Most were related to our current geometry unit, except for the last one from yesterday. I’ll explain that one at the end. 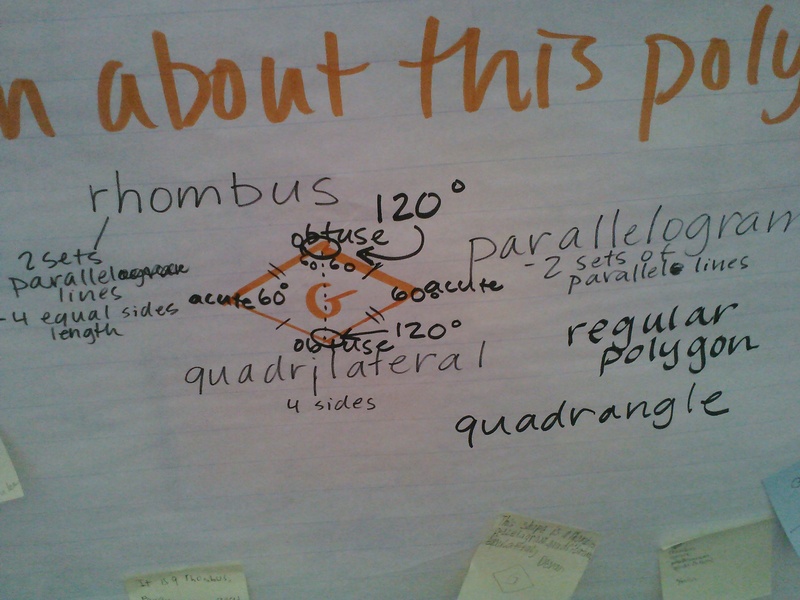 Besides just knowing polygons and their names, a major focus of this unit is being able to figure out unknown angles using information that is already known. That septagon that I made is actually created from 3 separate triangle pieces (that we know and have figured out the angles of), so then here I was asking them to use that known information to determine the measure of this new angle. Many of them also used the idea of a “right angle + some more”, and the fact that it was an obtuse angle in their calculations. We also focused on the way this question was worded: many went right to telling me WHAT the angle was rather than HOW they figured it out, which is what I was actually asking. This is an important test-taking strategy that we were able to highlight, as well. This question was an extension of what we had just been talking about the day before. Our focus was on all the different names that one polygon could have, as well as the continued use of known angles to determine unknown ones. The “G” refers to the way that rhombus is labeled in the set of Power Polygons we use as manipulatives. This warm-up was a review of old knowledge, but then we used it to connect to our new concepts from this unit. I reminded them (since of course this seemed like something they did AGES ago!) 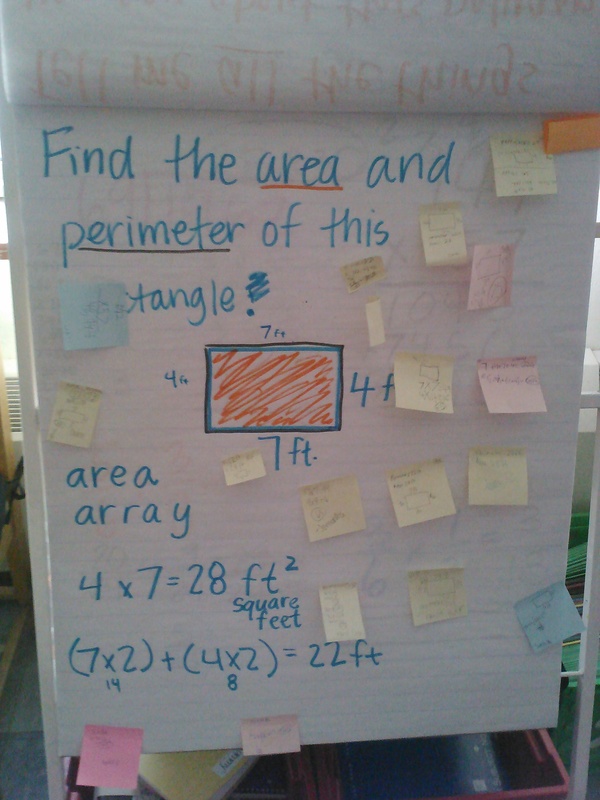 that area is just like all the work they did with arrays during our study of multiplication. We also were reminded of how we could use our knowledge of order of operations to correctly write the equation of how we figured out the perimeter. The lesson following this asked them to be able to create new rectangles based on this one, but with different area/same perimeter or different perimeter/same area. Hopefully you’ll notice the difference in this one. This week we were looking at winter benchmarking data noticing that our 5th graders seemed to have a hard time showing that they are solid in computation skills. It’s clear that we need to do more practice with computation even when it’s not the unit we’re in, as well as more practice with timed situations (the benchmark we use asks them to complete a certain number of problems in 8 minutes). Other than the benchmark and standardized testing, they aren’t asked to do this. Simply having more opportunities like that could be helpful.